You believe that people can recover from pain. But it is more than that. You want to empower people to listen to and learn about their bodies. You've been to other yoga trainings that focus on providing templates for a,b,c symptoms. Those templates work, until they don't. You know there is a gap, but aren't quite sure how to close it. You want more consistency with your results. You want to be a better more effective as a yoga teacher. You don't want temporary fixes. And there is more. Deep in your gut and in your heart, you really want more depth and credibility to how yoga is delivered. I can vouch for this training. Being in Susi's presence for a week and learning from her has taught me to really challenge my own preconceptions and to teach from a place from where I can be fully present to my students, meeting them where they are on any given day. Since this initial training with Susi, I've found myself more curious and more thirsty for knowledge outside of what I've already been taught. My six days with Susi has opened me up to a whole new world of possibilities in movement and biomechanics. I am so grateful for this training. Thank you Susi Hately!" 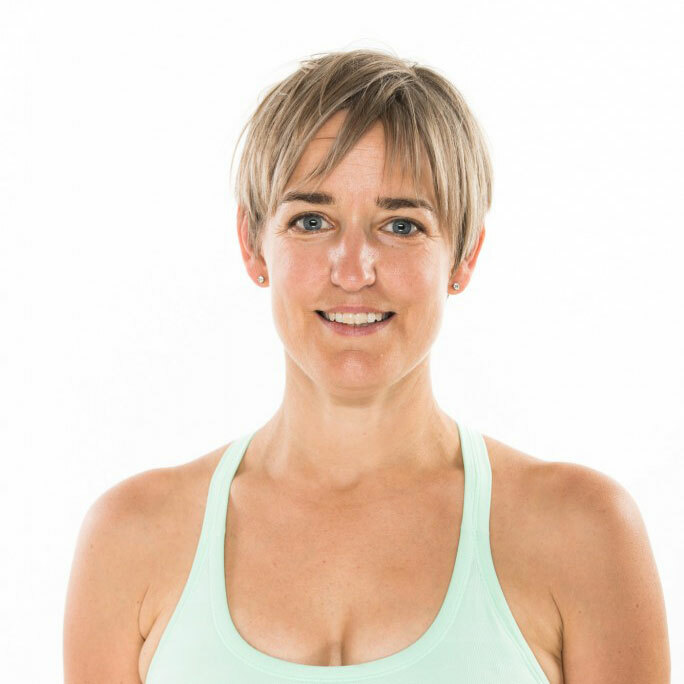 Susi has been integrating her university level education in Kinesiology, Exercise Physiology and ​Biomechanics and yoga education since 1995. It is this blend of modern day science with ancient yoga practices that have her results be both quick and sustainable. You know that there isn’t mental health in one corner, and physical health in another, emotional health in a third corner and spiritual health in a fourth. They all work together as one. 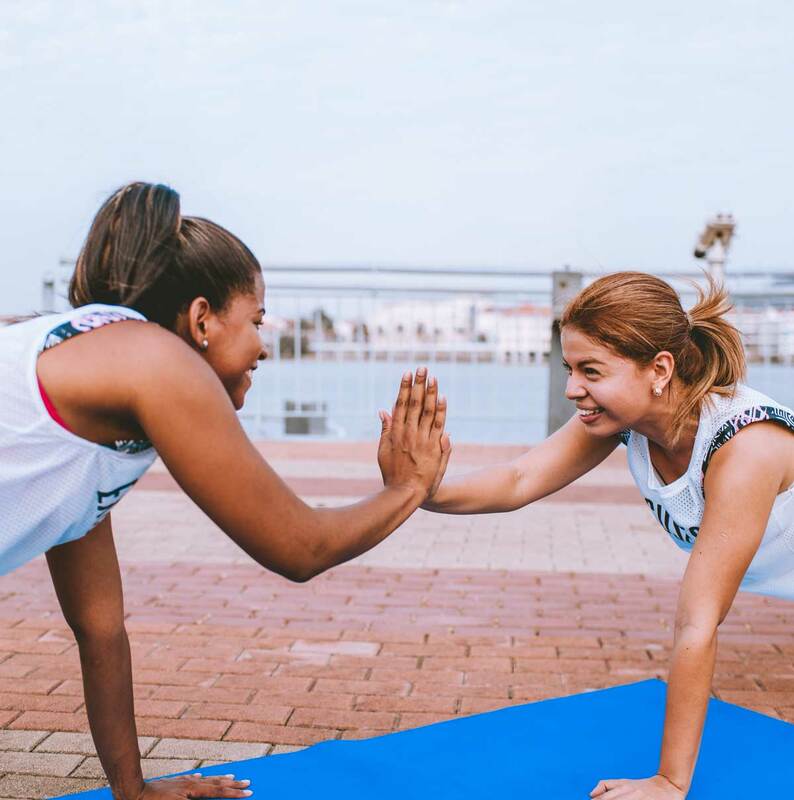 However, a key component that provides ​an incredible amount of objective feedback is our body.​ ​When we see our body as a barometer, positive change happens quickly. When you learn how your body functions, how it actually moves and then understand what it is communicating to you, you have the ability to decode its symptoms. You have the ability to truly understand what is needed. Because the bottom line is this…. Our bodies are not renewable resources. They will try to keep up with our desires and ambitions …with the various activities we want to do….. and they will compensate to do that. They will compensate in movement, they will compensate in energy usage – they will try to keep up, until they can’t anymore. This training is all about shifting that up. Of actually listening to the body. And when we do, noticing how everything changes. Taking Susi’s Level 1 Therapeutic Yoga Intensive training was the best investment I have ever made. For one, the training differs from anything else I have ever taken. It is unique — it is not about a one-size fits all template but instead lays out a roadmap designed to help you personally move better and with less (or no) pain as an individual. What I learned from Susi was “how” to move away from pain, persistent pain — the kind that lingers but never really goes away. Not only did I learn how to observe and feel how my body moves, I learned how to be in tune and mindful of habitual compensatory patterns that were no longer serving me. My body learned new patterns of movement that did not trigger pain. Those new patterns gave my body permission to heal — finally, there was hope. Susi is a great coach who is very supportive and encouraging. I finished the training feeling very confident in that I can be a valuable resource to helping others move away from pain. I highly recommend the training. It all begins with ​Awareness and ​Presence. Yoga is a practice of awareness. It involves us getting quiet enough to be able to listen, to be able to see, and then to act on it. ​​As a teacher, this awareness becomes presence. It is a key ingredient to improving our results. It is our presence that helps us connect. It is our presence that enables us to clearly see what is moving well and what isn’t. It is our presence that helps us communicate what we see so our clients become aware. Our clients are not conditions. They are living, breathing human beings who want help. Your presence will speed up their healing and enable them to take ownership of their process. 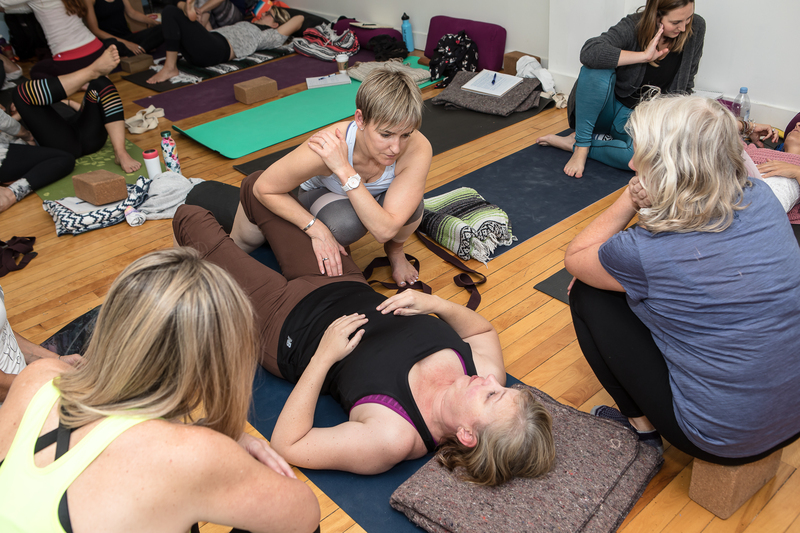 Yoga Teachers, Pilates Instructors, Nurses, Doctors, PTs, OTs, Massage Therapists and Chiropractors who have taken this program are amazed at how much more connected they become for their own patients/clients. Many comment that it is the missing piece for truly serving, getting consistently great results, and not burning out. Do you believe that healing is possible? Do you want a no fuss, candid and truly loving approach to being real about “what is”; to dig in and explore yourself in movement, breath and stillness? Do you know that your level of awareness, connection and integration has a direct impact on your results with your clients. Do you recognize you can’t ask a client to do what you aren’t willing to do for yourself. Do you believe that if pain can change, pain can actually change. ​Do you want to learn how to help your client find relief, retrain neuromuscular patterns, and refine how they are going about their daily activities so they have sustainable and consistent change? This program is for you if you want ongoing support. Following your in-person experience, you will begin a ninety-day practicum where you will practice your skills on your students. Your practicum will be guided by me, and supported with online live mentoring calls as well as a private members only website with more lessons and video to support you in your growth and development. This program is not for you if you are looking for a quick “fix it”, if you don’t recognize there is a magic in healing and you would prefer a “power over” approach which suggests you know more than your client. If you are looking for templates to treat conditions you won’t enjoy this experience. While this training is serious, it is also fun. I promise. The joy you feel as you reduce or eliminate pain, and as you see the difference you make in the practice sessions will blow your mind. This training attracts both yoga teachers and other health professionals to enhance their ability to work with their students, clients or patients. It also attracts people who want to work on their own bodies. I have seen people eliminate long standing (20 years) chronic pain, reduce migraines, reduce pain and flares related to​ autoimmune conditions and improve mobility and stability following ​surgeries. We've had people significantly reduce depressive episodes, reduce anxiety, and better manage other mental health issues. When trainees underst​and the relationship of their movement ​ ​to the conditions they are experiencing they discover the real factors for why they have the symptoms they do. It is very powerful and super cool (which is a technical term!). Ultimately, I am not a template girl – I don’t rely on nor do I teach “here is the template for reducing SI joint pain”. There isn’t one template for that to happen. It requires much more than that. I am taking a physio course this weekend and it is SO entertaining to be in a classroom again, with people asking questions like ‘what techniques do I use to treat xyz diagnosis’ and ‘how often does the patient need to come in for treatment’ etc. I used to be that way! How much my line of thinking has changed in the past years. So THANK YOU for showing me a different way, I do feel light years ahead of the class in that I don’t need to follow a template or memorize the treatment plans. I can just see the person and be with them, and simply give them what they need. Awesome! This training is available to graduates of the Therapeutic Yoga Intensive who want more – it focuses on video reviews of your working with clients so you can continue to grow your ability to see and reduce compensatory patterns, and choose more accurately. This is the highest level that you can have where you work directly with mei. You will not work with assistant trainers or junior teachers. At the end of this program you will have completed the C-IAYT requirements to become a C-IAYT Yoga Therapist. You will have a bustling business, and will be known as someone who consistently gets results, someone your clients can count on. This is my Business Training Program that enables people to make huge gains in their businesses – whether they are just starting out, or have a long term business but aren’t making the revenue or profit they want, or they are feeling so entirely chaotic that they have no interest in growing. 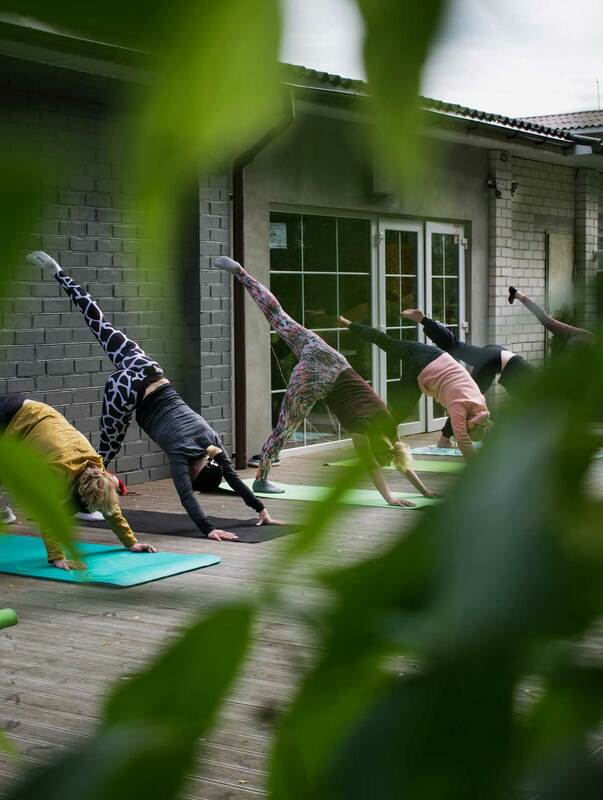 I offer simple, straight forward lessons that honour the yogi in the business, so you move from chaos to calm busy, and grow a sustainable business that both nurtures others and yourself. While this is an optional program, more than 90% of Therapeutic Yoga Intensive graduates take this program. Before training with Susi I didn’t know how to help people and I was burned out. Teaching wasn’t fun any more. Susi makes the complex simple, and she brings it to a human level. She will help you get out of our own way so you can help others. If you want to grow beyond where you are now and learn how to truly heal yourself and others, and you’re ready to really work at it, Susi can help you gain mastery of your life and help you use your unique skills to help people move better and feel better. We are running 3 Therapeutic Yoga trainings in 2019. Below are the details. ​​These courses include 6 days of training with Susi plus 3 months of online mentoring. They do not include accommodation or meals. Location: 1055, Robert’s Creek on the Sunshine Coast,Yoga by the Sea, ​Roberts Creek, BC Visit this page to register. Payment Plans are available. Location Centro Santillan, Diseminado Chilches Rural, 100, 29790, Málaga, Spain Visit this page to register. Please note that staying at Santillan is necessary to participate in this particular training. We have single and double accommodation available, as well as a wide range of food options to cater to preferences and sensitivities. This is a separate cost from the training. For details on accommodations, please contact Elisabeth. Location: ​ Modo Yoga Uptown (formerly Moksha Yoga Uptown), 1498 Yonge St, 2nd Floor, Toronto, ON Visit this page to register. Payment Plans are available. Fill in the form below. I look forward to connecting.